So, where are the Seychelles and what are they? 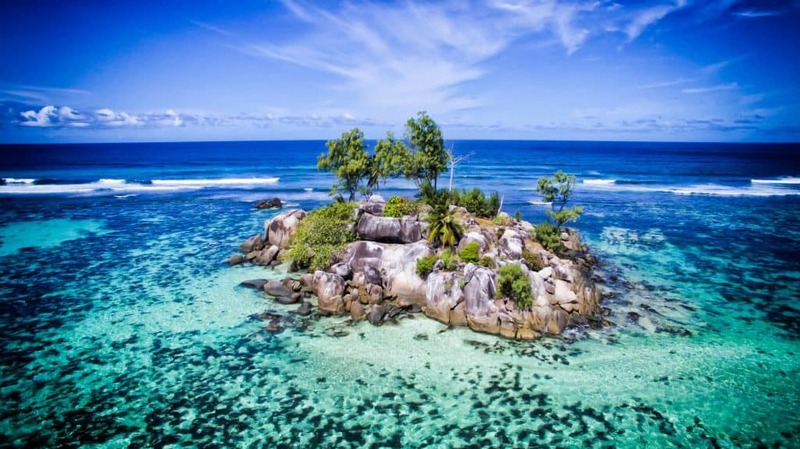 The stunning 115 islands that make up the Seychelles should need no introduction. Upon landing in Mahe at 8 am after a red-eye flight from Abu Dhabi with multiple screaming babies, we should have been extremely tired. However, as soon as we walked out of the tiny airport there was no time to be groggy – we were in a complete paradise. A paradise made up of sparkling granite, crystal waters, and lush green jungles, unlike anything we had ever seen previously. So where are the Seychelles? The islands lie off the coast of East Africa in the warm Indian Ocean north of both Madagascar and Mauritius, and just about parallel with parts of Kenya. There are 115 islands, but the three main ones frequented by tourists are Mahe, Praslin, and La Digue. I feel like the Seychelles don’t need many words to be described, so here are a couple of photos to get started. Needless to say, the coastlines are pristine and the inland jungles feel (and are) uninhabited. The white sand seen in these photos feels like heaven under your feet. We learned that the white sand actually comes from the excrement of the abundant and beautiful parrot fish, which chow down on all the coral. The weather here is idyllic for a tropical holiday as the average yearly temperature sits at about 84°F. 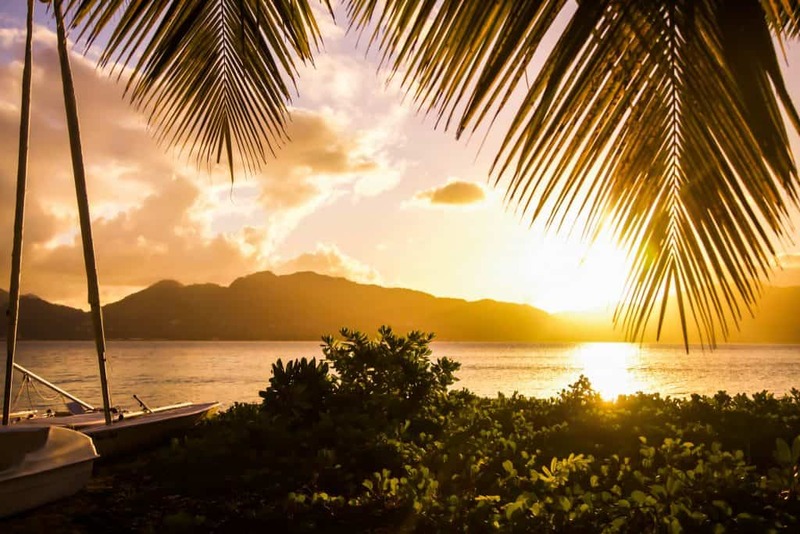 However, what makes the Seychelles one of the most idyllic places in the world is its exclusivity. The Seychelles are not a budget destination, the resorts here are for the honeymooners, celebrities, and elite. It’s possible to have an entire secluded beach all to yourself while visiting. Of course, it is possible to visit the Seychelles on a more mid-range budget, but we will get to that later. What’s the food situation in Seychelles? First and foremost – food! You won’t find yourself going hungry in the Seychelles. 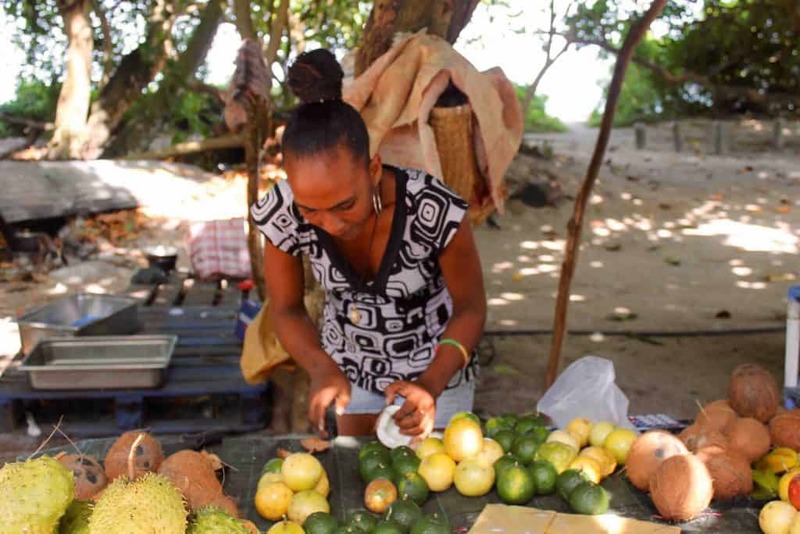 The islands boast a fascinating amount of fresh, tropical fruits at low prices. Common treats are mangos, bananas, coconuts. and starfruits. These can be found at many roadside stands by popular beaches, or any resort will have an abundant selection of fresh fruits. We had about three coconut waters a day at 30 rupees each right from the side of the road. If you have coconut water make sure to have the fruit vendors cut open the shells for you when you are done so you can eat the flesh. For main dishes one can find fried chicken shops near any grocery store – this seemed to be the local and budget option on the island. For about 40 Rupees you will find yourself with a nice size portion of fried chicken and chips. At restaurants around the island, there is spicy curry available almost anywhere as well as fresh local red snapper. For quick snacks, it’s easy to get your hands on samosas at small convenience stores. The Seychellois take great pride in their local brew, and I can’t say I blame them. 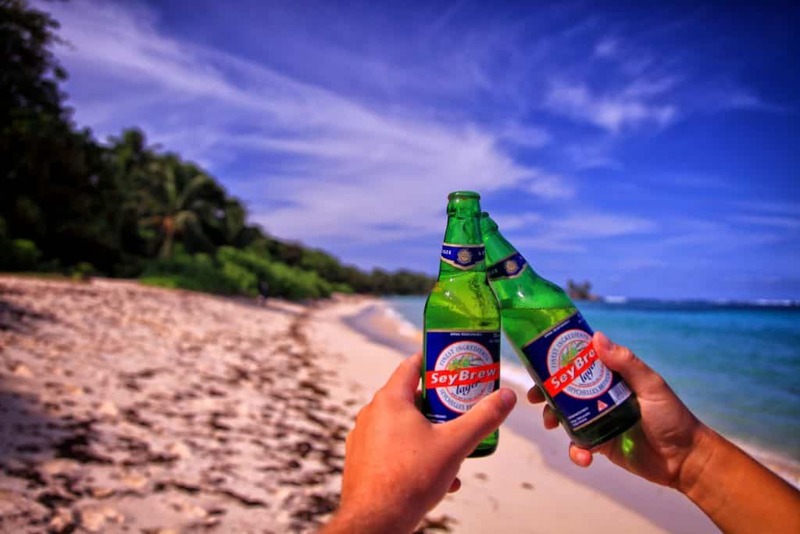 SeyBrew Lager is the national beverage of choice and is perfect to drink while relaxing on an empty beach. The cost from a grocery store is 25 rupees a bottle. Another must-try is the local Takamaka Rum. Buying the rum at the store and mixing your own cocktails will be much more cost-effective than paying for mixed drinks at the resorts. So now that we have answered where Seychelles are, it’s important to note that Seychelles are not a backpacking destination. 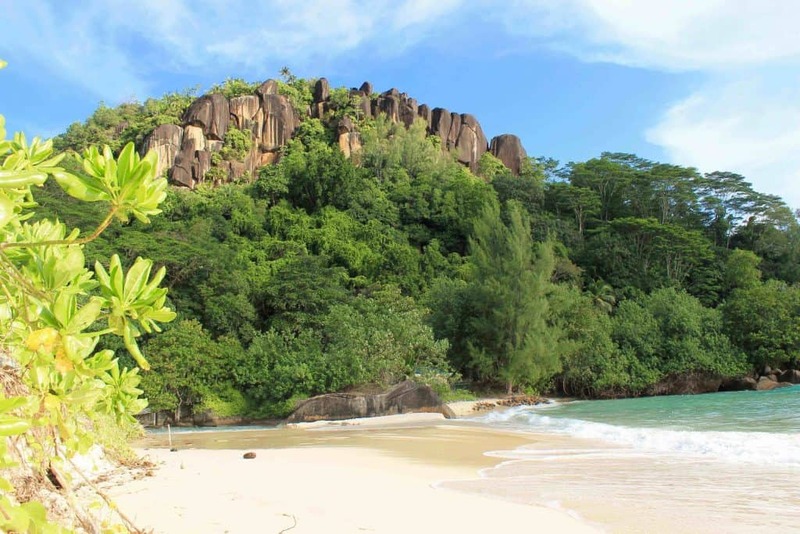 Resorts are scattered throughout Mahe, and then become few and far between on the more exclusive, La Digue and Praslin. However, no resort in Seychelles come at a cheap price. If it is in your budget to stay at a resort then it is worth experiencing the high life in a beautiful setting for a few nights, especially if you’re on a special trip. 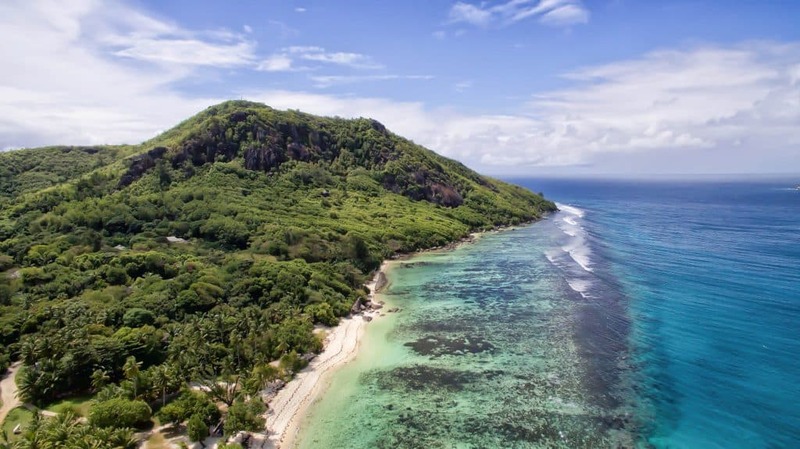 Airbnb and private guesthouses are also an option in Seychelles, but at $75-$100 a night, they are not quite as affordable as private rentals in the rest of the world. BUT you’re in Seychelles, it’s expensive, so you may just have to buck up and bear it for your vacation. It’s also worth noting that Seychelles are not a place where you can just show up and “wing it.” Customs officials want to see proof that you will be laying your head somewhere during your stay, and will ask for confirmations and addresses before letting you into the country. You’re technically in Africa now so chances are there will be a couple of wildlife sightings. We found Aldabross tortoises throughout parts of Mahe, which are amazingly large creatures that are indigenous to Seychelles. 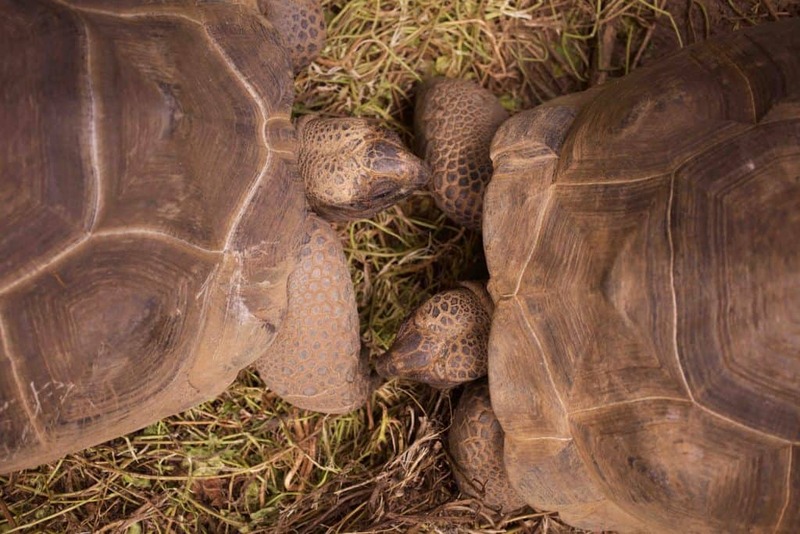 For more tortoise fun there are 150,000 Aldabra giant tortoises roaming free on Aldabra island, more than the human population in Seychelles! Other common sights are fruit bats, monkeys, and many different bright birds of Seychelles. Underwater the marine life is endless, but we particularly got excited when we found stingrays and parrot fish on the ocean floor. The forestry here is nothing short of amazing. The islands get plenty of rain so everything is just so gosh darn green and lush! Varying flora and fauna make up the vast majority of the islands. Any Google search of “Seychelles” will yield many results with large rocks positioned ever so perfectly in the Indian Ocean. These rocks are actually granite which are fragments of Gondwana, a supercontinent broken up 75 million years ago. If sitting on an unspoiled beach all day just doesn’t suit your fancy then there is plenty of outdoor activities to keep occupied. 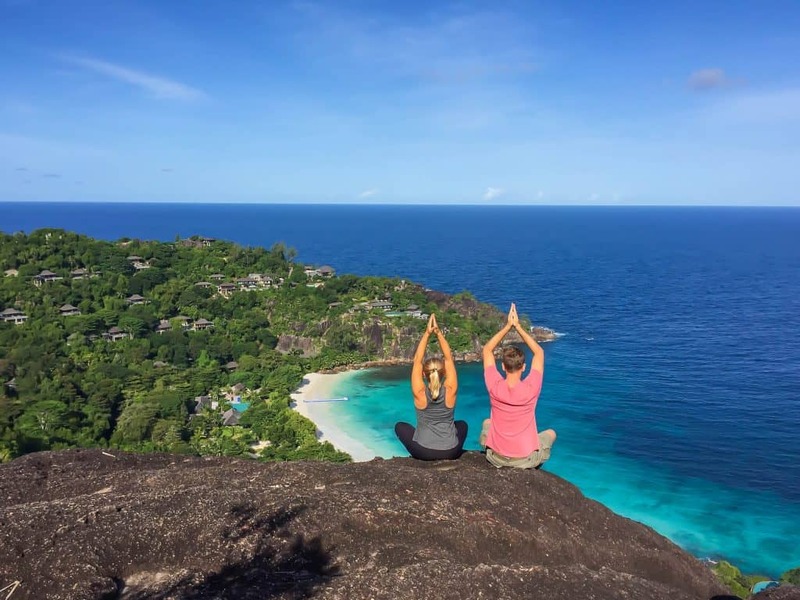 We enjoyed hiking through the jungle and found that to be one of the best things to do in Seychelles. The views are 110% worth the effort and there is always something beautiful waiting around the corner. Ziplining at SMAC Adventures is also another great way to get the adrenaline pumping in Seychelles. Located on Mahe at Constance Ephelia resort, these guys running the show here are fun, energetic, and can zip line across the jungle like monkeys. 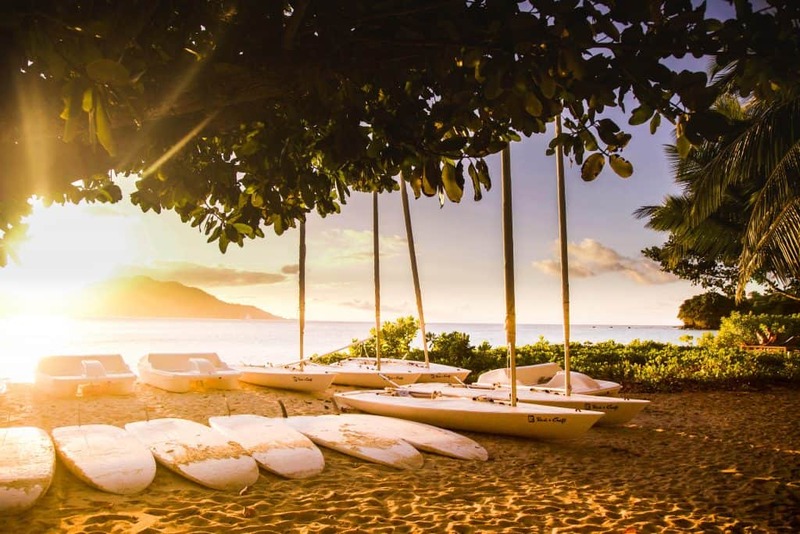 Many resorts will offer body boards, stand up paddle boards, snorkel gear, and other various water activities to keep everyone active. 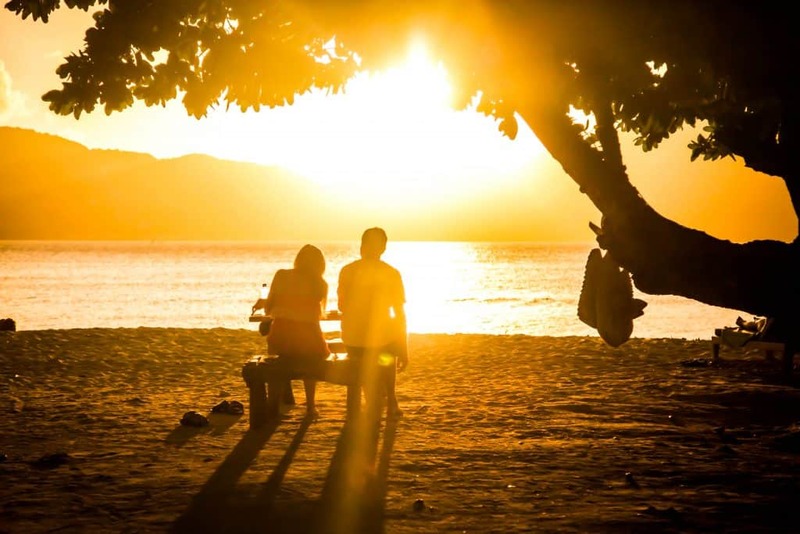 On some of the more public beaches like Beau Vallon and Anse Royale, there is equipment to rent if you are not staying at a resort. I would recommend bringing some snorkel gear from home or buying it at a Supermarket if where you are staying does not have supply gear. The locals here are delightful and trustworthy. I mean, it’s hard to be a grumpy liar when you live in paradise. Needless to say, we found that most everyone had a smile on their face. Since the islands are so exclusive and cater to a different type of holiday goer, it seemed people were happy to have their home country at just the right tourism capacity. The locals speak Seychellois Creole, but English and French are widely understood. Don’t arrive without a place booked or without proof of onward travel. You will be asked for both of these things at customs. We read on Wikitravel that you must carry a large sum of cash on you to prove to customs you could afford your stay. We were not asked for this, nor was anyone else that we saw dealing with immigration. A car is highly recommended if you want to travel around Mahe and don’t feel like dealing with the bus. We paid €35 a day for a pleasant compact car from Maki Car Rentals. Petrol is very affordable in Seychelles as well. Driving at night is not for the faint of heart here. Crime isn’t really a problem, but no streetlights, mountainous roads, and people walking everywhere are. The whole island of Mahe is driveable in a couple of hours. Is Seychelles safe? A valid question as they lie right off the coast of East Africa. There is very little crime in Seychelles and we felt safer traveling here than many places in the US, Europe, and even parts of Australia. The Euro is a widely accepted form of currency, although the Seychellois rupee is the national currency. There are plenty of small supermarkets on Mahe. We also found everything we could possibly need at a jumbo hypermarket to the south of Victoria. 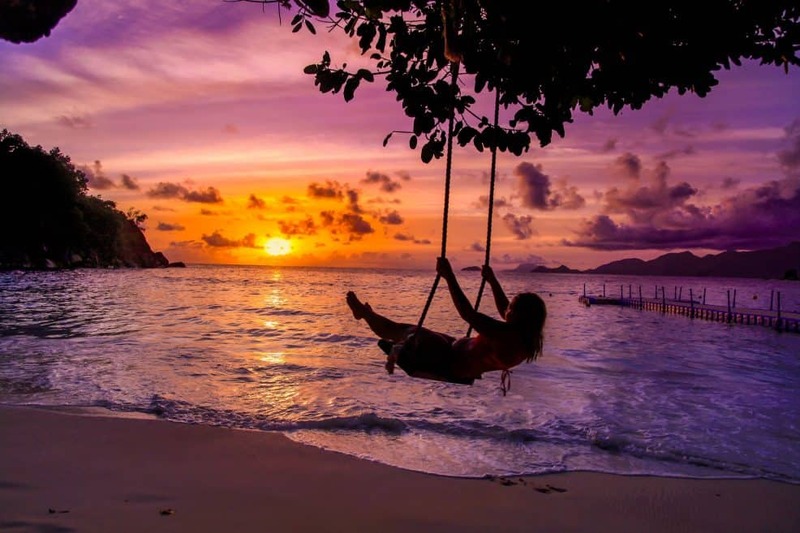 Mahe, Praslin, and La Digue are the three main islands for people to visit. Cat Coco’s ferries run between all of them. Tap water in Seychelles is safe to drink, but we went the extra mile and made sure we only drank the water from our Lifestraw Go bottles to be completely safe. US Citizens can travel to the Seychelles visa-free up to 30 days. After that, visitors can apply for a visa extension of up to three months. Check out the Seychelles Tourism Board website for more info. Looking for more info on prices, here is a great Seychelles Travel Guide. So where are Seychelles? Never ask again now and just plan your trip! Guide Book: Sometimes it’s nice just to have a real book in your hands when traveling. We recommend picking up a Guide Book to get you through the wireless nights.